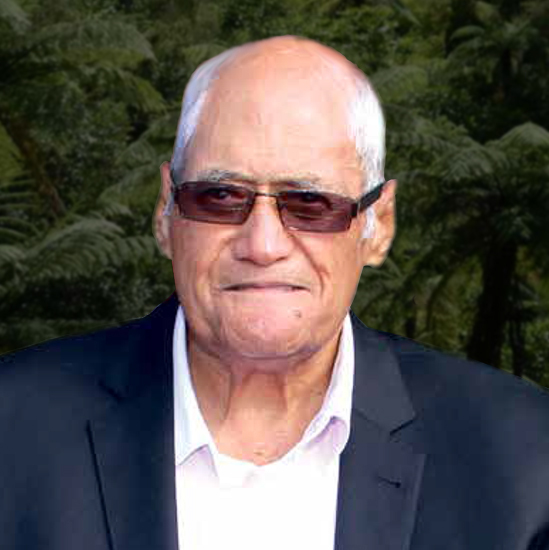 Late last month, Koro Wetere died in Te Kuiti Hospital, the day after he’d turned 83. The tributes flowed because he was much more than a local old-timer who’d been born just up the road at Oparure. 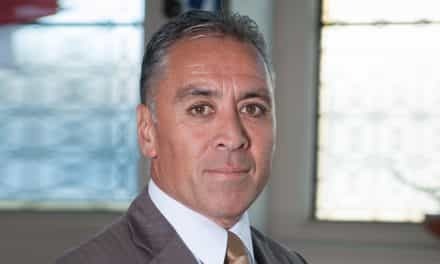 He was also Dr Koro Tainui Wetere CBE, who became the Minister of Māori Affairs when David Lange took over as prime minister in 1984, and who was a powerhouse in Waikato-Tainui politics, especially after 1996, when he finished his 26 years as an MP. So, Labour Party colleagues, political opponents, King Country neighbours, journalists, and family all stepped forward to acknowledge the man who’d been such good company and such a dour, street-smart fighter for Māori rights. 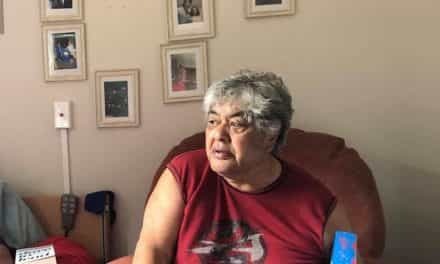 One of Koro’s whānau is Sue White, who edits the Waitomo News, so there was no doubt that, when her Uncle Koro died, she’d see that his passing and his achievements got the attention they deserved in the paper. The special edition included her own tribute to “Uncle”, who she often saw in action as a paramount influencer, whose advice was sought by MPs from various camps, whose talents as a negotiator at the board table reaped many rewards for Waikato-Tainui, whose reputation as a raconteur might surprise those who sometimes saw his discomfort in the course of an interview, and whose limits as a golfer didn’t curb his enthusiasm for the game. The Waitomo News also had a reprint of a long interview with Koro, conducted in 2012, by Trish Macky. So we’re indebted to Sue and Trish for giving E-Tangata access to the material — and Koro. Koro was the fifth in a family of seven — four girls and three boys. As a kid, his routine was to milk, by hand, six cows before heading off to school. And school for him was Oparure, then Te Kuiti Primary, and then Te Kuiti High School. There’d be other farming jobs, too. Shearing and crutching and harvesting, for instance, when they’d join in with neighbours, who included the Meads boys, Colin and Stan — who didn’t do too badly later on as All Blacks. “We grew up knowing what independence was about,” Koro told Trish Macky. From high school, Koro went on to Massey University — or Massey Agricultural College as it was in those days — where he did courses in animal husbandry, stock management, wool classing, soil science and so forth. 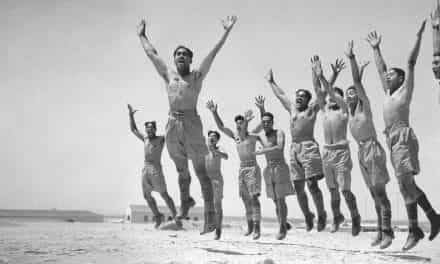 Next, he did his three-month stint of compulsory military training for 18-year-old males, and then was appointed as the manager of Mangaora, a 1000-hectare property at Kawhia. There were perks to that job. Like the keys to a Mark Two Land Rover. Koro spent six years in Kawhia, and, in that time, met and married Nedracita (Girlie) Edwards and they began a family. Tainui was the eldest, then Amy (who died as a baby), Nedra, Kruger, Paul, and Vipi. Then there was more farming in Te Kuiti (as a studmaster for the Dalgety company) and in Taumarunui, before they bought the family farm off Koro’s dad, Weo Maruatara Wetere, and settled back near Te Kuiti. 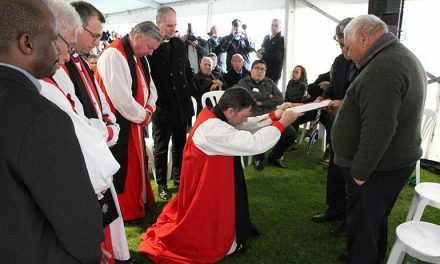 And, in this time, he became not just a farmer again but also a minister, an apotoro, for the Rātana Church. There was, however, a bigger challenge ahead of him because, as a 35-year-old, he was persuaded by his elders to stand for Western Māori (which later morphed into Te Tai Hauāuru) on the Labour ticket. 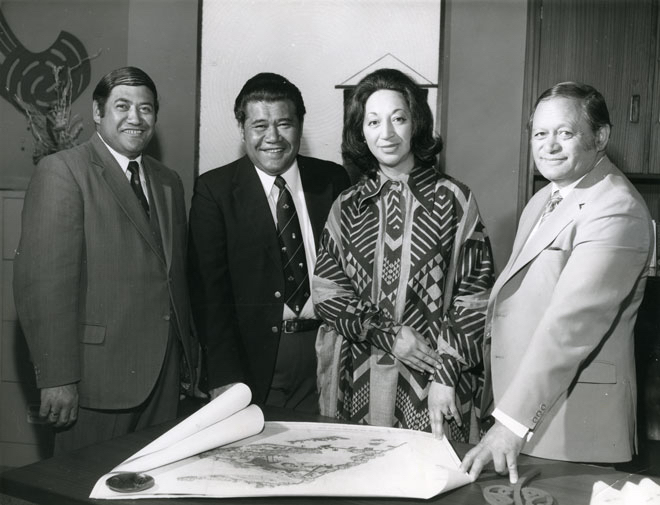 Koro Wetere (left) with other long-serving Māori MPs, Matiu Rata, Whetū Tirikatene-Sullivan, Paraone Reweti, probably in the 1970s. 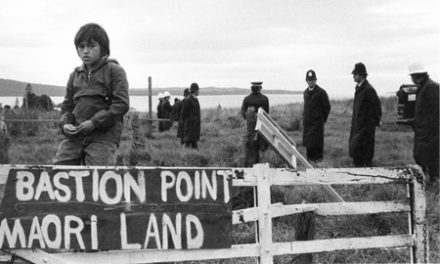 He’d had a hand, though, in lobbying to get legislation through parliament to have land titles consolidated, to avoid small Māori land parcels being forfeited to the Crown. And that gave him a tempting taste of what could be done through central government. He was also motivated by the philosophies of the Kīngitanga and the Rātana movement to work for the betterment of Māori. That was what he was able to do as an opposition MP and, naturally, even more effectively in his two terms as the Minister of Māori Affairs (1984-90). There’d been, for example, his support of Matiu Rata in establishing the Waitangi Tribunal in 1975. Then, as minister, in 1985, extending the mandate of the Waitangi Tribunal to hear claims dating back to 1840. And introducing the Māori Language Bill, which lifted the status of te reo Māori, making it an official language when it became law in 1987. Despite those and many other successes, Koro saw the 1995 Waikato Raupatu Settlement Claims Act as the pinnacle of his parliamentary career. There were setbacks, though. One who saw them at close hand was Andrew Robb, who worked for Māori Affairs and then as a bilingual reporter around parliament. And he sees the Hawaiian Loan Affair in late 1986 as the event that caused the most discomfort, as he outlines here. “What happened was that contact with Hawai’i led to informal investigations into private sources of international funding for Māori development. The trail led to Germany, where a banker was said to have access to Kuwaiti capital that might be lent at favourable rates. “Discussions moved on to a proposal for a loan of $600 million. Tamati Reedy, acting as the Māori Trustee, signed a loan document, subject to further approval from the government. “That was as far as it got before the National Party MP, Winston Peters, got hold of the story. Government departments were not allowed to get overseas funding without Treasury approval, and Winston had a field day, drip-feeding the scandal to the slavering media over weeks and weeks. “Official and media investigations turned up lurid stories of frauds, bankrupts and money laundering. David Lange later wrote that the story ‘had the lot — con artists, Hawaiian middlemen and shady Middle Eastern financiers’. 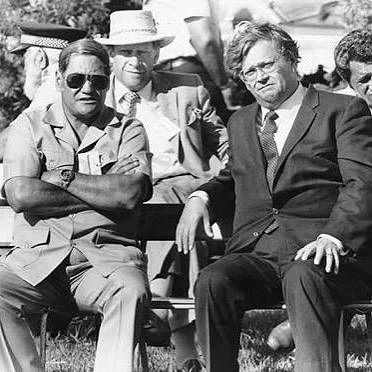 Koro Wetere (left) then Minister of Māori Affairs with Labour PM David Lange (photo NZ Herald/Paul Estcourt). “The picture they created of conniving Māori backed up by bureaucratic bungling was disastrous for Māori credibility and aspirations. “What was missing was Māori voices of reason in the public debate, to put the desperate need for finance into the context of Māori poverty and frustration, government inaction on Māori development, and pressure on Māori leadership to do something — and to point out that no loan was ever raised. “Months later, the government-owned BNZ actually lost $600 million in foreign exchange dealings — and that scandal lasted about one day. “I saw the big issue as a failure of the mainstream media, which had very little Māori expertise in those days. And there were really only three Māori media spokespersons: Matiu Rata, Ranginui Walker, and Graham Latimer, who were regarded as experts on every topic. 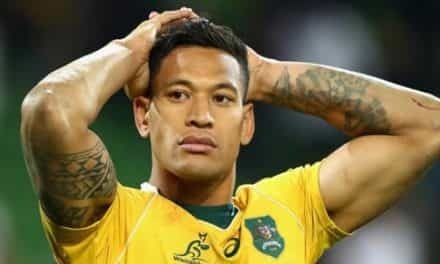 “Koro himself was not a good media interviewee. He spoke English fluently, but he used so much bureaucratic and parliamentary jargon, it could sometimes be hard to figure out what he meant. 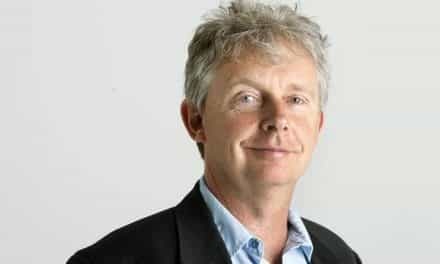 “He was, however, a major beneficiary of the developments in Māori media from around 1990, when Mana News began broadcasting news bulletins on Radio New Zealand and the growing network of iwi stations. “Mana had a presence in the parliamentary press gallery, and covered the Māori Affairs Select Committee when other media had no interest. Koro was the chairperson, appointed by a National Party government. Koro’s first language was Māori and, if he was interviewed first in Māori, he gave clear, logical and coherent answers, which he then translated into his English interviews. Andrew, like others close to parliament, was impressed by Koro’s humility. As was Jim Bolger, a former prime minister, who has also spoken of Koro’s warm, open character, his sense of humour, and sheer goodness. 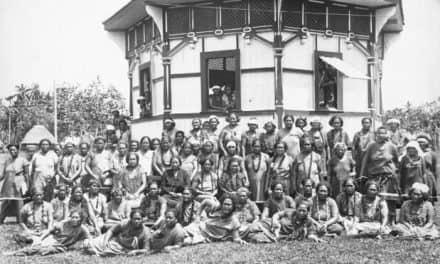 There have been many politicians and kaumātua more flamboyant and more eye-catching than Koro, but his strength was staying close to his roots: his whānau and iwi, the Labour Party, and the Rātana church. He had very wide networks, and a radar finely tuned to Māori thoughts and feelings. Although he wasn’t well known by the wider public, he was influential among those who counted, and it’s easy to underestimate his contribution to the history of Aotearoa.